Fifty years ago when neurofeedback was in its infancy, brain mapping did not exist. Serious practitioners got pretty good at identifying what areas were playing a role in conditions such as ADHD, sleep, anxiety and learning challenges. However, when EEG brain mapping (known as a qEEG) came along, it became possible to more precisely administer neurofeedback training. Today, with the help of brain maps, neurofeedback practitioners are able to see which areas of the brain aren’t working the way they should. This information helps create more targeted training to address the types of brain issues that can benefit from neurofeedback. In a nutshell, sophisticated qEEG brain mapping helps reveal what’s going on inside your brain. Neurofeedback is biofeedback for the brain. It uses modern computer technology to regulate and stabilize the brain to improve cognitive function, attention, mood, anxiety, sleep, and behavior. This is accomplished without the use of medication. 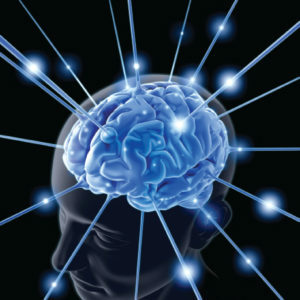 I have been using brain mapping technology at Center for Brain to create targeted brain training protocols since 2001. Over the years our center’s technology has evolved, along with the science, to the benefit of our clients. The first shows the brain of a 23-year-old man who had trouble listening and paying attention. He also disliked reading. The red in the middle of the images below from his brain map indicated he had excessive amounts of slow activity (6-9 hz). Excessive slow activity interferes with attention and is a common pattern for ADHD. It’s also often associated with people who dislike reading because they have trouble paying attention to the content. We trained this client to reduce his excessive amounts of slow activity, and his attention and ability to read improved. The images below are from two people. The map on the left shows the brain of a person with a long history of depression. The orange and yellow areas indicate an excess of slow brainwave activity typical of someone with depression. The picture on the right displays a normal brain. The above examples make it easy to see how this type of very specific information can be a powerful tool for designing a pinpoint-accurate neurofeedback training protocol. The parents of an 11-year-old client of ours spent five years trying to find out what was wrong with their son. He experienced both academic and social problems. He was tested three times over the years by multiple specialists and M.D.’s., resulting in uncertain diagnoses and only one treatment option: stimulant medication. Once we conducted a brain map and added the results to other testing data, the diagnosis of Asperger’s syndrome became clear. His map also indicated that stimulant medication should not be used, despite what the doctors had all prescribed for him. The bottom line: Once we knew what the problem was, we were able to target it appropriately, and he began doing much better academically and socially. Neurofeedback helped improve the sensory integration function in his brain, and his anxiety subsided. He reported feeling far less anxiety than he had in years, relief he had never experienced with medications. Both people in the above cases had been treated for years for something they didn’t have and given medications they probably didn’t need. Why? Because no one looked at their brain function for the cause of their symptoms. A qEEG brain map can pinpoint brain patterns associated with the symptoms and help identify the appropriate neurofeedback training. It’s also important to note that not all qEEG services are alike. There are less sophisticated maps available for less experienced practitioners. These do not provide the extensive type of information that Center for Brain’s four types of qEEGs provide. And finally, not everyone offering qEEG services has the depth of qEEG experience and understanding that Center for Brain offers. It’s important to investigate the level of a practitioner’s experience before having a brain map. a brain map for everyone? No. Some people’s situation doesn’t warrant the cost of a map, which can run from $295 to $695. Certain kinds of common issues such as insomnia may respond so quickly to neurofeedback without hyper-targeted protocols that doing a map doesn’t make sense. If you’re interested in knowing whether a qEEG brain map might be right for you, contact our office for a free consultation with me. Mike is one of the leading experts in brain biofeedback. For more than 20 years he has helped children and adults feel better who suffer with a wide range of problems including ADHD, anxiety, insomnia, and learning and processing issues. He has taught neurofeedback to over 2,500 healthcare professionals, including medical doctors, all over the U.S. and the world. Previous Get a New Lease on Hearing With AGX Secure!